The range of old camera’s on offer at the Spitalfield’s Market, just begged to be shot in black and white. I remember my father using his Rolleiflex and his Minolta single lens. I always preferred the Minolta as when the twin lens came out, it was… stand still…hold it…hold it…why are you fidgeting…almost there…. 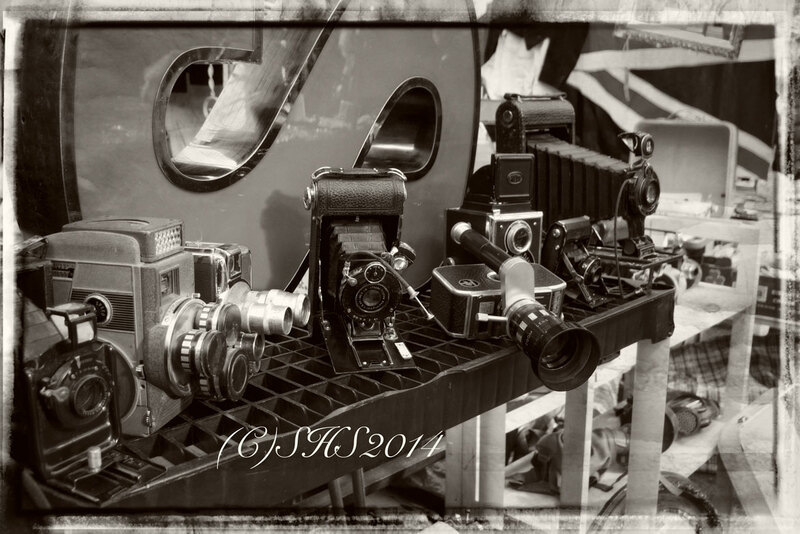 Gallery | This entry was posted in Black and White Photography Challenge, photography and tagged Black and White photography, Minolata, Minolta, Photography, Rolleiflex, Rollieflex Camera, Spitalfields, Spitalfields London, Spitalfields Market. Bookmark the permalink. Thanks! 🙂 I was so tempted to buy one of those old cameras but I walked away! !